Michael Hauge's Story Mastery / Event / Stage Time LIVE! How to stand out, deliver a memorable message and leave your audience wanting more! Whom is this Master Workshop for? Why Now? Only Once Per Year! Have you ever attended a conference with amazing teachers and left with a long list of awesome ideas that you never execute? Lack of execution is the single biggest barrier to reaching a presenter’s full potential both on stage and in their marketing. This dramatically impacts their profits. Stage Time LIVE will be different. 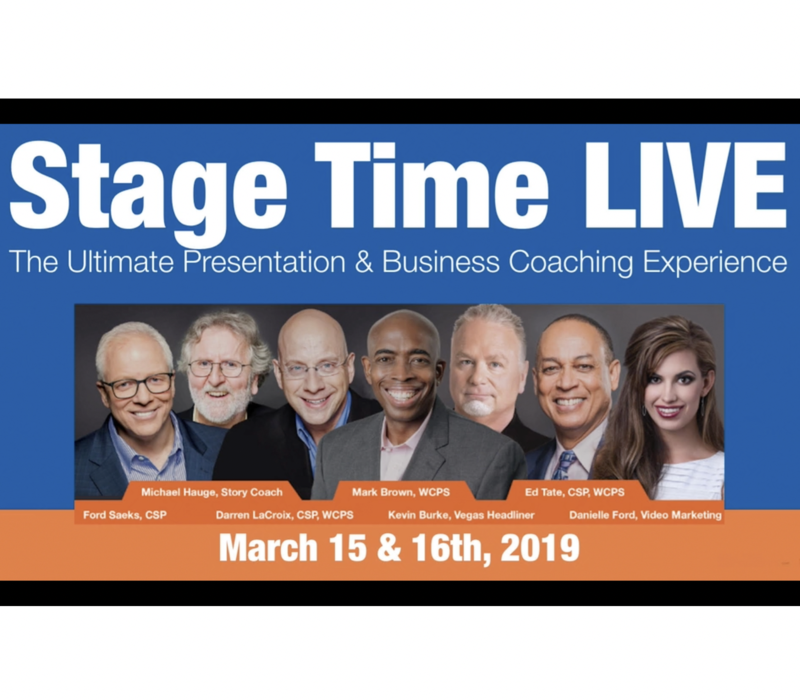 We’ve designed the event to help you not only discover how to be more efficient and more effective, but also to apply what you learn RIGHT AWAY! So we’re incorporating interactive, hands-on opportunities for you to chart your progress and execute IMMEDIATELY. Consistent execution empowers you to have an unforgettable impact on your audience. You will focus on finding your stories, making them sticky, polishing delivery, and positioning yourself for profit. During each segment of the event, you will get to implement what you have discovered and then receive the coaches’ insights on your application. This will catapult your progress. Want a Snap Shot of the Event? Everyone will walk through this process and create their presentation. VIPs will get in-depth coaching and will be at the front of the room working with Mark & Darren. Essential Story Elements are you missing any? Got a Message? Or a mission? LinkedIN Where are your clients online? Video Marketing What are you waiting for? LIVE Website Hot Seats Is your website losing you business? Speaker Tank Pitch to the Pros: What do event planners want? Your world-class faculty is comprised of World Champion Speakers with decades of experience. They are out on stages around the world doing what they do best. They take time out of their crazy schedules to teach what they do, how they do it, and show you the most up-to-date insights in the industry. But make no mistake, they are busy. That’s why this LIVE workshop will only be offered once this year. As a speaker or presenter, your speech is your number one sales tool. If you want to succeed, your keynote must be topnotch. Why would you wait to make it the best it can be?